The most recent edition of Big Finish’s Vortex Magazine, #69, reveals that Devil’s Advocate, the fifth story in the Series 2 of the Blake’s 7 Classic Audio Adventures will be focussed on Steven Pacey’s character, Tarrant. Steven Pacey takes centre stage in Devil’s Advocate, by Steve Lyons. “This is very much a Tarrant-based story,” says Cav, “dealing with what he was doing before Blake’s 7, when he just pops up after the war. He’s never really been given a backstory – the majority of the other characters are, but not him. We know he’s been a good Federation officer, which I think is fun to play with. He’s not always trustworthy, but seems to be quite a good man, with principles. 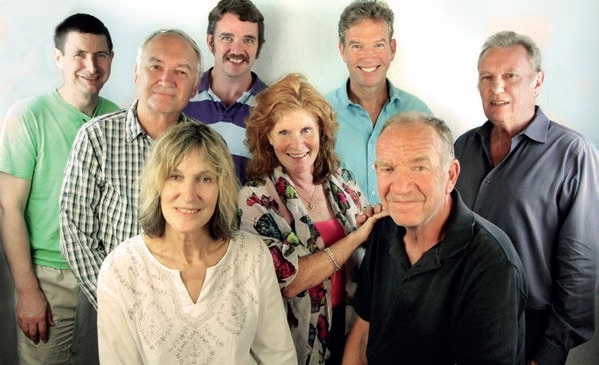 Big Finish’s Vortex Magazine, Issue #69, November 2014, p. 15. Although fans will have to wait until March 2015 for the release of the Devil’s Advocate, Episode 2 of the Blake’s 7 Classic Audio Adventures, Fortuitas, will be released in December. A trailer for Fortuitas is now available. All the titles in Series 2 of the Blake’s 7 Classic Audio Adventures are available for pre-order now.